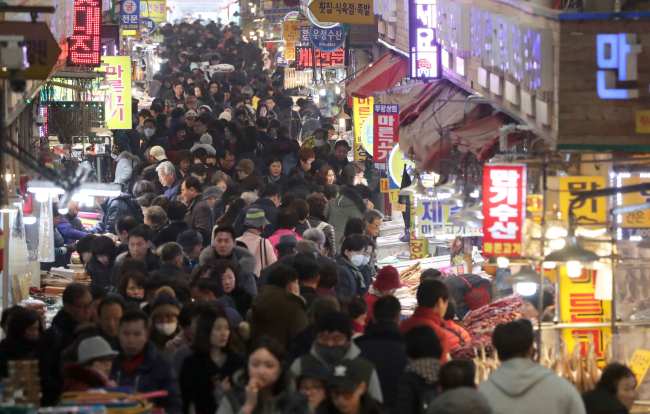 South Korea plans to spend 537 billion won ($478 million) to help nurture the country's traditional markets, the government said Wednesday. According to the Ministry for SMEs and Startups, around half of the earmarked budget will be spent to help expand parking space and related facilities in a way to provide visitors with easy access and other amenities. Also, the budget will be spent to remodel empty spaces at traditional markets into leisure-related facilities, refurbish restrooms and enhance safety at the markets, thus helping them gain greater competitiveness vis-a-vis large discount stores that have taken away shoppers.